More than 10,00 protesters marched through Belgrade on Saturday in a stand against Serbian President Aleksandar Vucic and the ruling Serbian Progressive Party (SNS) government for the eighth consecutive week. Protests also spread to other cities in Serbia, including the second-largest city of Novi Sad and the southern city of Nis. The demonstrations were triggered by an attack on opposition politician Borko Stefanovic by unidentified individuals in the town of Krusevac in November 2018. 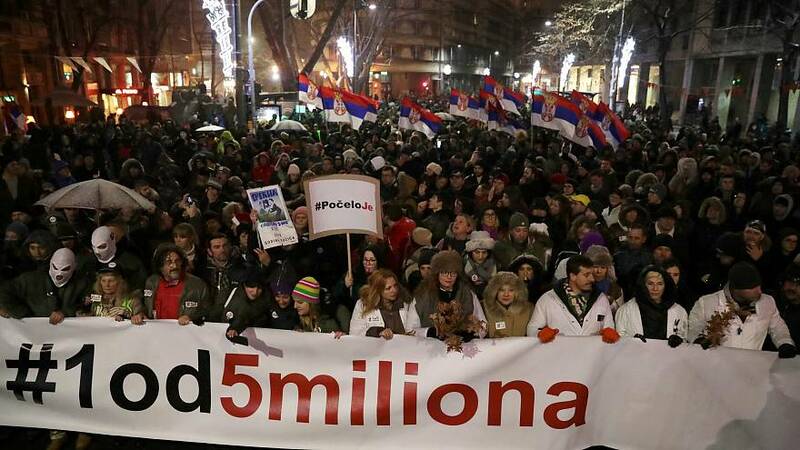 The Alliance for Serbia, which groups 30 opposition parties and organisations, arranged the protests. They said Vucic was an autocrat and accused his party of corruption. They demand more media freedom and more coverage of opposition groups by the public broadcaster as well as an end to attacks on journalists and opposition figures. What is freedom of expression like in Serbia? According to Freedom House, a US-based think tank working on democracy, political freedom, and human rights, freedom of expression is not well enforced even though it's guaranteed by Serbia's constitution. Additionally, Freedom House said that press freedom has been gradually weakened by the Vucic administration. "Independent and investigative journalists face frequent harassment, including by government officials and in pro-government media," said a country report by the think tank. According to Freedom House, Vucic started to portray investigative and critical media organisations as foreign-backed propaganda. Vucic denies the corruption accusations by the Alliance of Serbia. In December, the president said that he would not bow to the demands of the opposition for electoral and press freedom reforms "even if there were five million people in the street." He said, however, that he would be willing to call a snap election — something the opposition said they would boycott. Vucic, who has served as president of Serbia since May 2017, became known for his nationalist stance following the breakup of Yugoslavia in 1992. He joined the far-right Serbian Radical Party (SRS), whose core ideology is based on Serbian nationalism, but came to embrace pro-European values in the aftermath of the collapse. 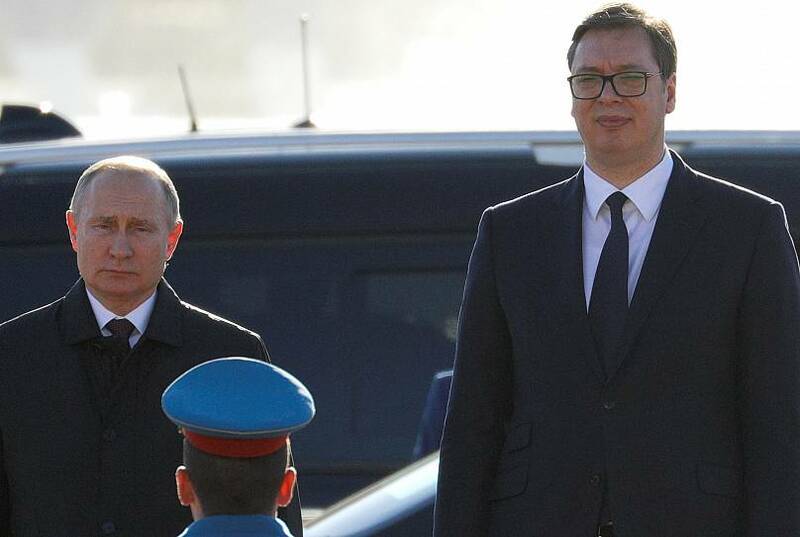 Vucic also served two terms as Serbia's prime minister from 2014-2016 and from 2016-2017. He set Serbia's membership into the European Union as the main objective of his presidency but remains a close ally of Russia and China.